It's been four years since my last post and to be honest I've missed taking pictures and sharing inspirations, fashion wants, travel dreams and more with the interwebs. My life has been pretty normal for the most part, working, got married, and living life the best I can. But, I thought in this new year I would start blogging about my travels, things I like, my home and life. To a new year with hopefully new and exciting memories. 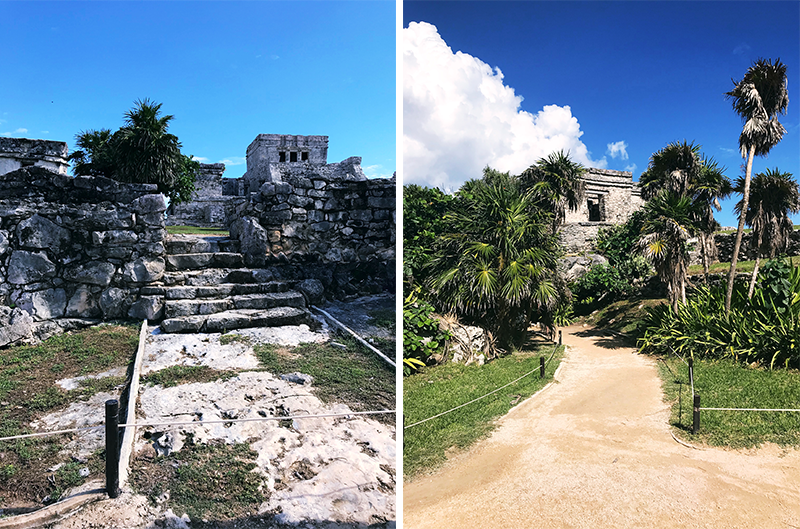 With that said, let me share my first trip to Tulum that my husband and I took with a couple of our friends this past November. The trip consisted of a lot eating, swimming, and sightseeing. If you're planning to travel this year, consider Tulum. If you love beautiful beaches, cheap food and resort luxuries this place is for you. We stayed at an Airbnb, but there are plenty of places to choose from in Tulum. First up, Cenote Dos Ojos. 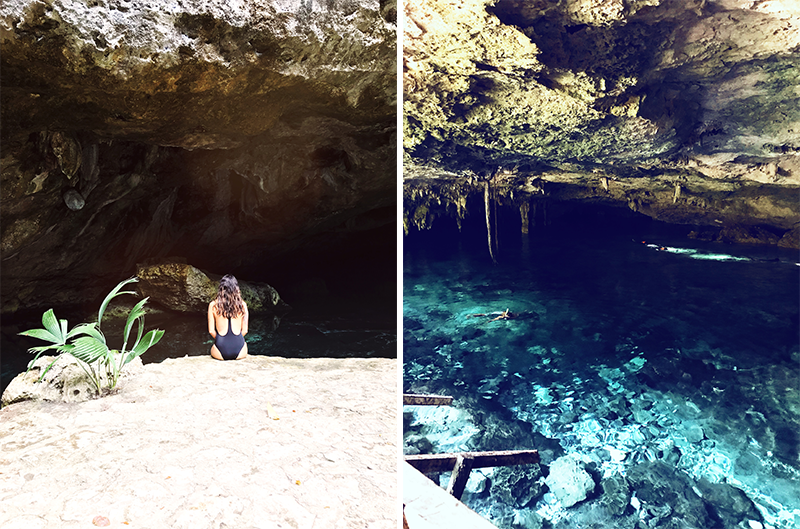 The most beautiful cenote I've seen. We snorkeled and swam, and I was in heaven. Next up, the Tulum ruins which were only 10 minutes away from our Airbnb. This is a must visit because not only are the ruins amazing and you feel like you are walking through history, but there is also a beach right next to it. It is the most beautiful beach, the sand is so soft and the water so clear and warm. It was breathtaking. We ventured out to Soliman Bay, Isla Mujeres, and Cancun. I will say we had the best ceviche in Soliman Bay. The restaurant was in the most secluded part, and we got to eat looking out at the ocean. The best thing about Isla Mujeres is that everyone gets around in golf carts. So, we got to cruise around and see the entire island. Another great thing about this small island is the snorkeling. You can literally touch the fish. Deep in the Yucatan state are so many different sacred structures. One place I wanted to visit was Chichen Itza, so we made a trip and drove through the jungle to see this incredible site. I will say it was such an experience, the ruins are out of this world. We did a lot of eating when we were in Mexico. 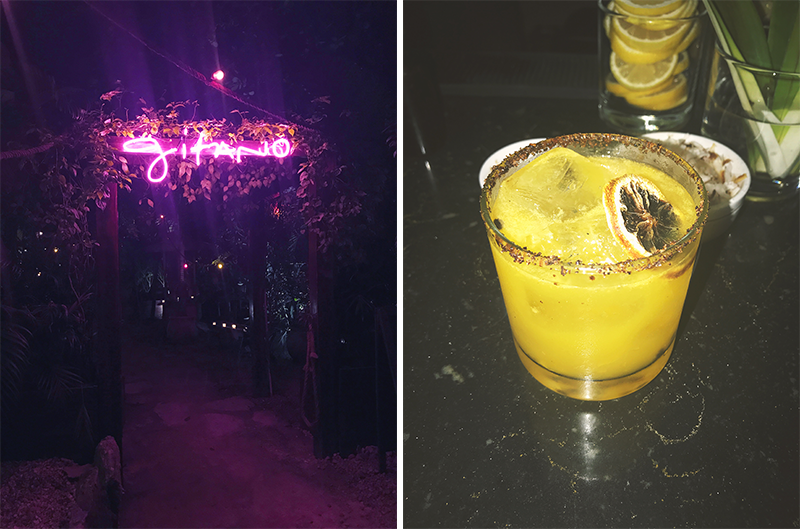 We went to places like Hartwood, ARCA, Gitano and random taco spots that were so delicious. I was obsessed with mezcal drinks and bought a few bottles for my bar cart back home. This trip was unforgettable, good food, good times, and good company. Aʟᴛʜᴏᴜɢʜ ᴛʜᴇ ᴏғғᴇʀᴇᴅ sᴇʀᴠɪᴄᴇs ᴏғ ᴀsᴛᴏɴɪsʜɪɴɢ ᴄᴀʟʟ ɢɪʀʟs ᴀʀᴇ ᴠᴇʀʏ ʀᴇᴀsᴏɴᴀʙʟᴇ ᴀɴᴅ ᴀғғᴏʀᴅᴀʙʟᴇ ʙᴜᴛ ᴡᴇ ᴀʀᴇ ᴘʟᴇᴀsᴇᴅ ᴛᴏ ᴡᴇʟᴄᴏᴍᴇ ᴀᴠᴇʀᴀɢᴇ ʟᴇᴠᴇʟ ғᴜɴ sᴇᴇᴋᴇʀs ᴛᴏᴏ. Lᴀʜᴏʀᴇ ᴄᴀʟʟ ɢɪʀʟs ᴀʀᴇ ʙᴇᴀᴜᴛɪғᴜʟ ᴇsᴄᴏʀᴛs in Lahore ᴀs ᴡᴇʟʟ ᴀs ᴍᴏᴅᴇʟs ᴛʜᴏsᴇ ᴀʀᴇ ʀᴇᴀᴅɪʟʏ ᴀᴠᴀɪʟᴀʙʟᴇ ʙʏ ᴊᴜsᴛ ᴏɴᴇ ᴄᴀʟʟ. Escorts ɪɴ Pakistan ᴀʀᴇ ɴᴏᴛ ᴛᴏᴏ ᴍᴜᴄʜ ᴄᴏsᴛʟʏ ɪғ ʏᴏᴜ ᴊᴜsᴛ ʜᴀᴠᴇ ɢʟᴀɴᴄᴇ ᴏᴜʀ Lᴀʜᴏʀᴇ ᴄᴀʟʟ ɢɪʀʟs ᴀɴᴅ ᴍᴏᴅᴇʟ ᴇsᴄᴏʀᴛs ᴘʜᴏᴛᴏɢʀᴀᴘʜ ɢᴀʟʟᴇʀʏ.